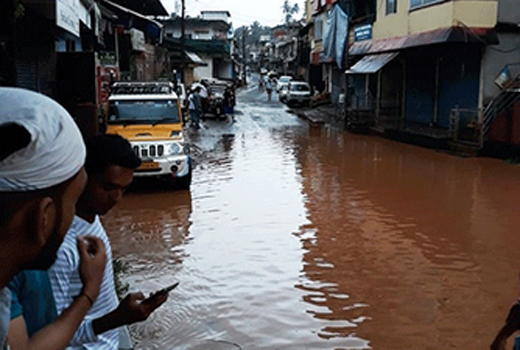 Bantwal, Aug 16, 2018: Residents and shopkeepers in low lying areas of Bantwal who had heaved a sigh of relief on Wednesday after flood waters had receded, are again in trouble with water logging reported from several areas on Thursday. Several places of the taluk have been experiencing heavy rains accompanied by strong winds since morning. The taluk administration has asked residents living in the vicinity of the river banks to be on alert.